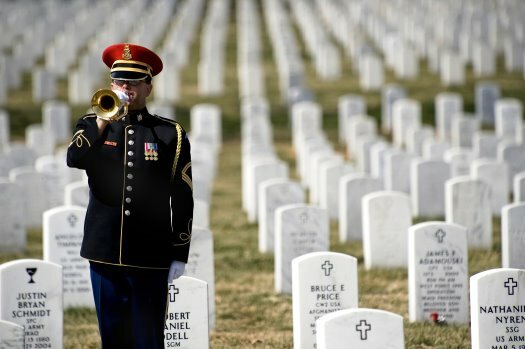 A lone U.S. Army bugler plays taps at the Arlington National Cemetery, March 11, 2009. Six years ago today the United States went to war in Iraq. On March 19, 2003, George W. Bush announces the invasion. Military action began at 5:34 AM Baghdad time on March 20, 2003 (9:34 p.m., March 19 EST). Think Progress has put together A Timeline of the Iraq War. CNN reports that taking into account operations for fiscal 2010, the conflict has racked up an $800 billion price tag since it began according to the Congressional Budget Office. By Wednesday, 4,261 Americans had been killed in the war, according to CNN’s tally. The official count for Americans wounded is at 31,089. The Iraqi casualty count, while harder to ascertain because of the lack of formal record-keeping, has reached at least 128,000, by CNN’s tally. "No One Gets Killed on My Watch"
If you work for USAID or State, you may need lots of sugar in your dark, bitter coffee before you read this. The House of Representatives Committee on Foreign Affairs held a hearing yesterday on the role of the U.S. military in foreign assistance. Former USAID Assistant Administrator Philip L. Christenson provided a testimony and had quite a bit to say. Click here to read the full 8-page testimony (pdf). Otherwise, read on for some rather sparkling comments excerpted from his prepared statement. He was the agency’s assistant administrator under George H.W. Bush (1989-1993). “These programs lead some to claim there has been a militarization of civilian foreign aid program. If I could re-define the issue somewhat, the underlying issue may be more the “civilian-ization” of the battlefield as civilian foreign affairs agencies and the domestic agencies find themselves incorporated into DOD’s plans for the manpower needs of its military strategy of the two on-going wars and its plans for future conflicts. DOD is not taking over State and USAID’s functions. Instead, State and USAID have been tasked with the responsibility to manage what were once traditional DOD functions. In the case of Germany and Japan, it was the United States Army that was the occupying government and it was the armed forces that performed the functions that DOD now designates as State and USAID functions. The question we should ask ourselves is whether State and USAID are the proper agencies to assume these functions and whether, perhaps, we need a new and different entity is more equipped to provide the services that DOD counter-insurgency strategy needs. “What we see is that State has been tasked to function in Iraq in a role not much different from the one DynCorp, MPRI, and hundreds of other contractors perform. State has become a general, all purpose staff augmentation contractor providing services to DOD. State has no particular expertise in this field and no one has providing a convincing explanation why State should be responsible for hiring these employees on its payroll instead of DOD hiring them on its own. 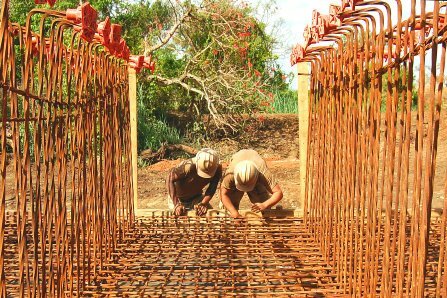 US Seabees inspect and remove debris from a bridge project in Aromo, Uganda, March 11, 2009. The sailors are supporting Combined Joint Task Force Horn of Africa. What Mr. Christenson paints is not a pretty picture, but is there political will from our top leadership to rethink the views on development/foreign assistance? What is the short/long term advantage of putting a military face on all foreign assistance? If and when foreign assistance/development is fixed so that the various civilian arms of development are actually in sync, where does that leave the bigger and mightier DoD? Howard Berman the committee chair complains that “We have heard the same explanation for this over and over again: DoD is filling a vacuum left by the State Department and USAID, which lack the capacity to carry out their diplomatic and development functions.” He cited the fact that USAID has only about 2,500 permanent staff today, compared to 4,300 in 1975. The agency is responsible for overseeing hundreds of infrastructure projects around the world, yet employs only five engineers. USAID has 29 education specialists to monitor programs in 87 countries. A conference considering 21st-century leadership challenges associated with irregular warfare included the following among 44 shortfalls requiring corrective action in the U.S. military. One might argue that the items listed below are not unique to the military. You could just as easily list this shortfalls in the training of our future diplomats. Our ambassadors and top negotiators for 2030 diplomacy are already in the system, working logistics in Harare or Yerevan and working the visa lines of Lagos or Guangzhou. The real question is — has their training been ramped up enough to help them meet the demands of their new and future challenge? Is there a new push within the organization to change its culture to encourage not only adaptability but also agility in learning? Is constrained by a career progression system based on post–World War II and Cold War imperatives, concepts, interests and threats. . . .